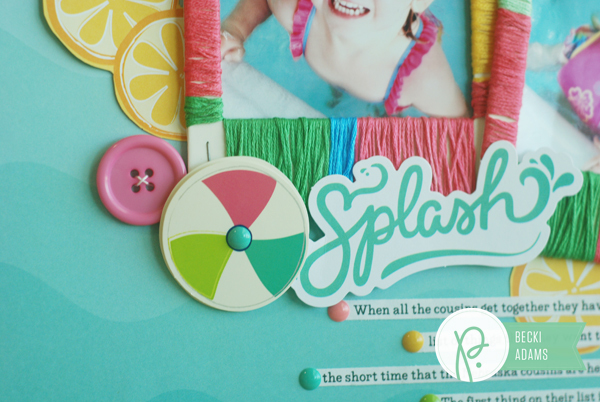 Happy Day Archives - Pebbles, Inc.
Becky Williams here, guest designing for Pebbles! 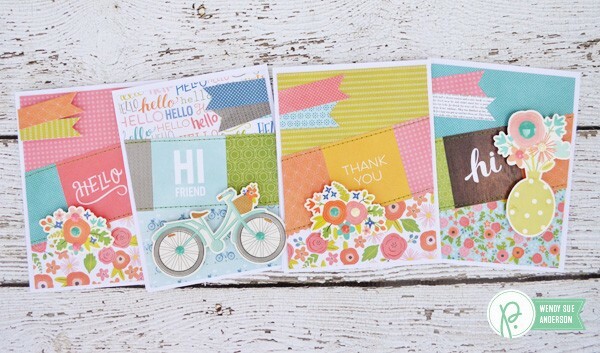 Today I have a couple projects to share that I made using the beautiful Pebbles Inc. collection, Happy Day. 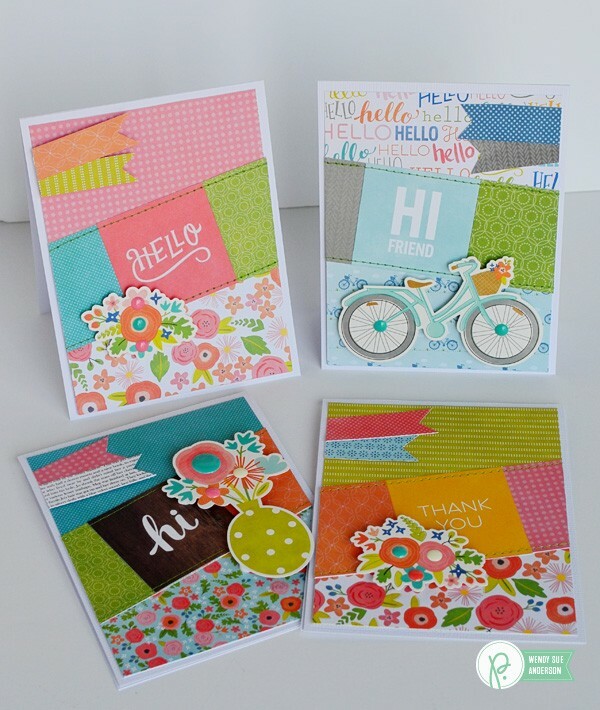 This collection is a fun mix of florals, woodgrain, bicycles, crossword puzzles and pizza slices. How they managed to get that to go together I don’t know but it works! This collection is so diverse and cute. 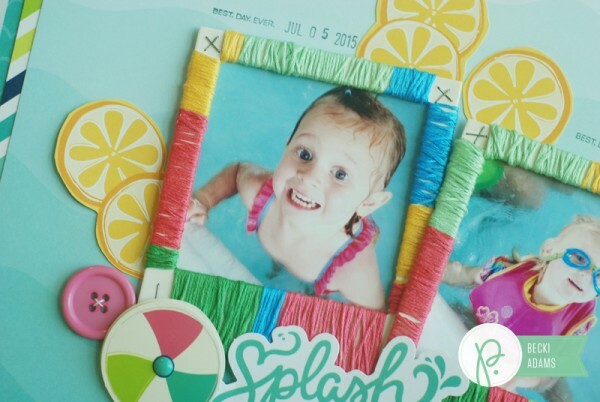 In the Happy Day collection is a photo garland kit. 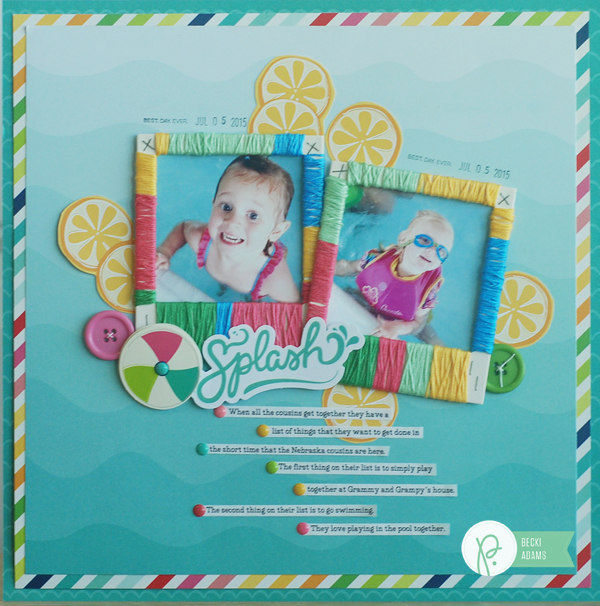 I used one of the cardstock frames from this kit, added some acrylic paint to the front and a piece of patterned paper to the back. I then wrapped the frame with twine included in the garland kit and added a couple of hearts to the right side, stapled in the center and folded toward the center to add dimension to the card. I then adhered this piece to my 4 1/2″ x 5 1/2″ cardbase. 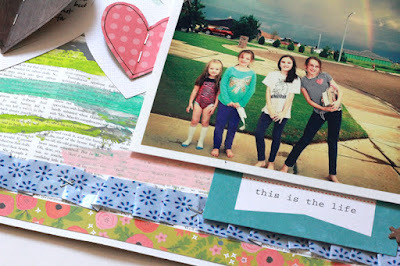 For this layout I started with the “Sunday Paper” patterned paper as my base. 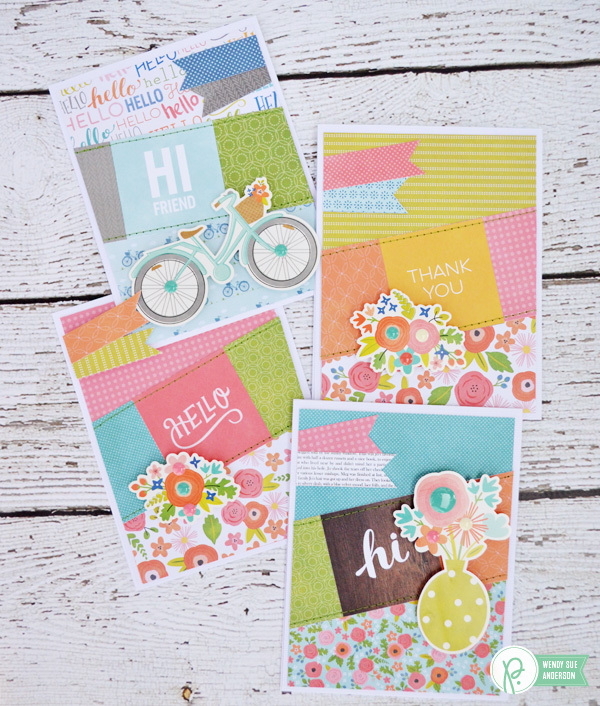 I added stripes of acrylic paint to bring out the vibrant colors in the Happy Day collection. After letting the paint dry I added a white cardstock diecut background. 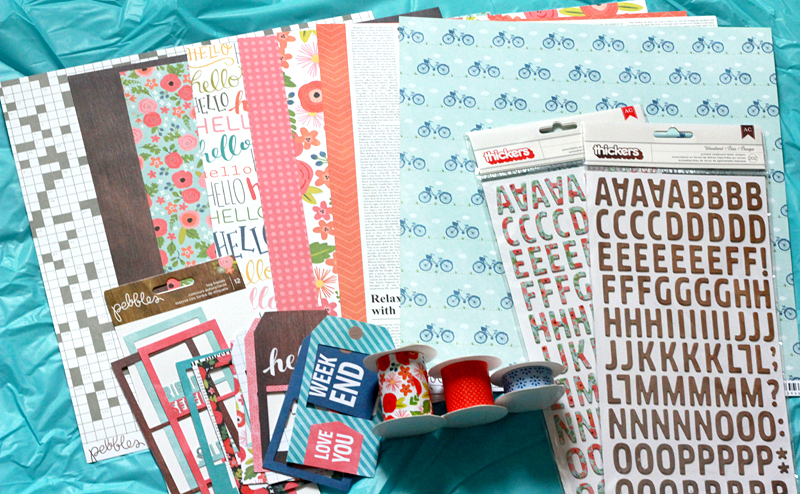 I filled some of the spaces with patterned paper and left others empty for journaling. I backed the white cardstock hearts from the background piece with various patterns from the collection. 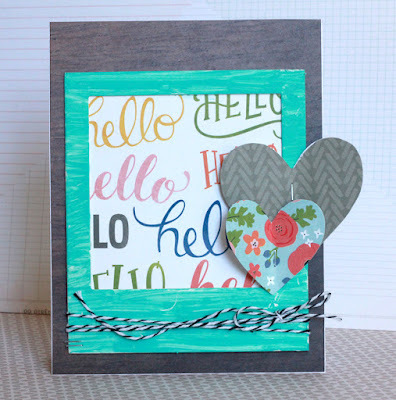 Just as I did on the card shown above, I stapled the hearts in the center, folded them toward the center staple and then added my journaling. 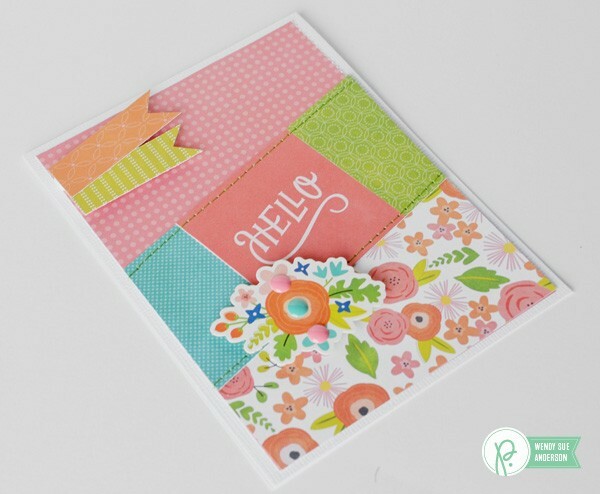 One of the fun additions to the Happy Day collection is this paper ribbon. I created a ruffled border along the bottom of my page with the blue floral ribbon, stapling it here and there. I finished off the page with my title using the woodgrain alpha Thickers. Hello Pebbles Inc. fans! 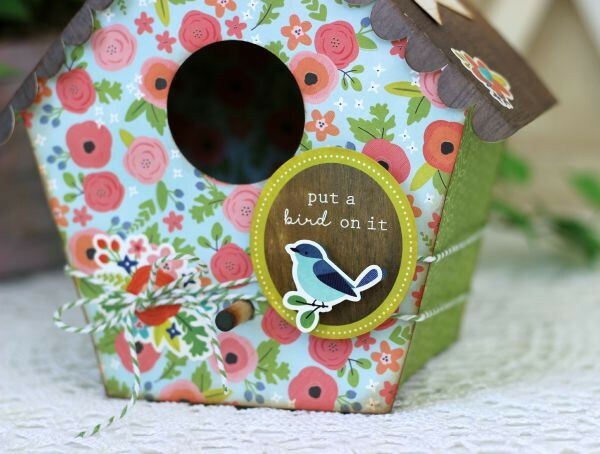 Holly here today from Ribbons & Glue sharing a cheerful Birdhouse made with the Happy Day! collection and a Silhouette cut file. I love to make 3D papercrafts. I find it very therapeutic. Cutting layers, folding on the score lines, taping everything together then inking the edges. 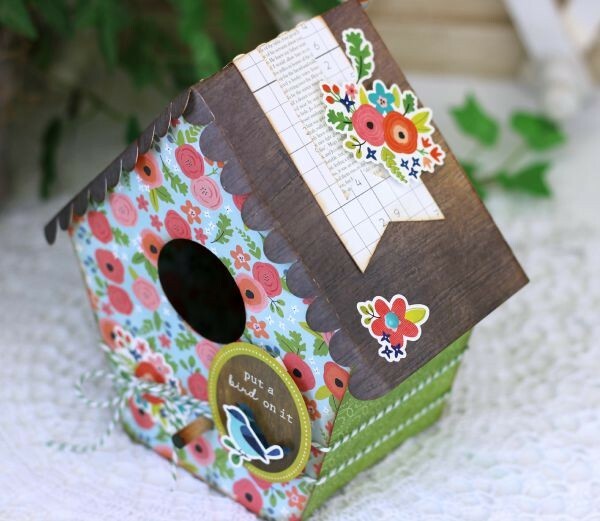 This 3D Birdhouse project was inspired from the “put a bird on it” sticker found in the Happy Day collection. 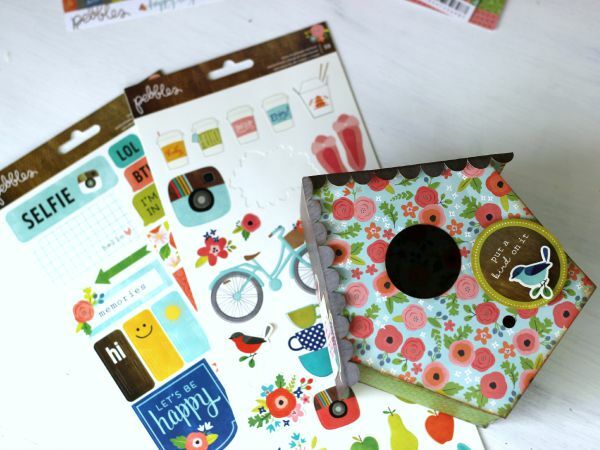 I love how one random sticker can provide the inspiration to create a cheerful project like this. I used my Silhouette to cut out the Birdhouse cut file then assembled the pieces together with double sided sticky tape. 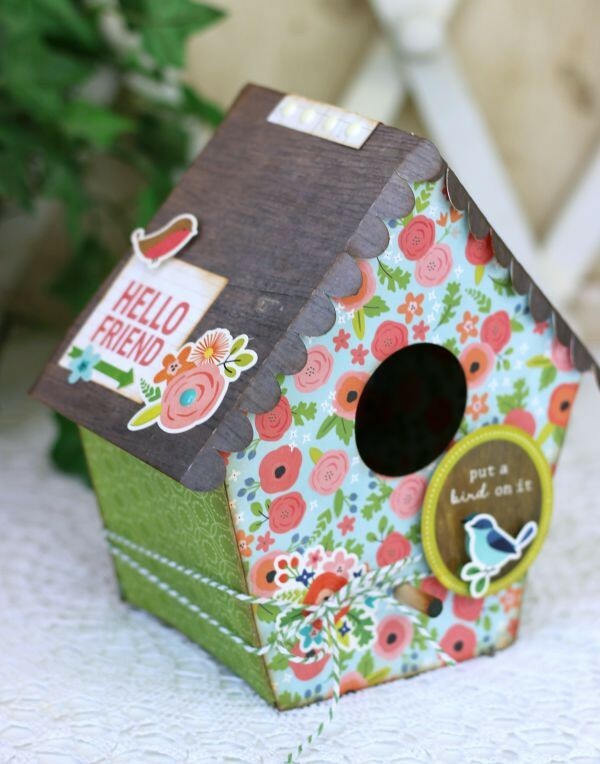 After the birdhouse was assembled, I embellished it with various Happy Day Stickers, epoxy dots and twine. What inspire your creativity? 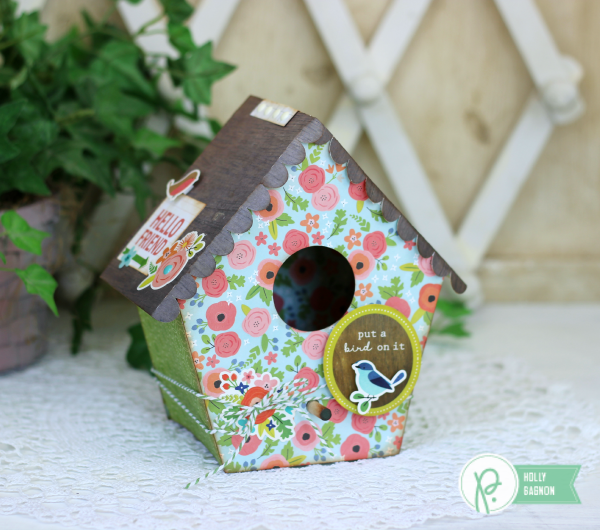 All it took for me to create this cheerful Birdhouse was one little bird sticker and some pretty patterned paper from the Pebbles Inc. Happy Day collection. Hello friends! 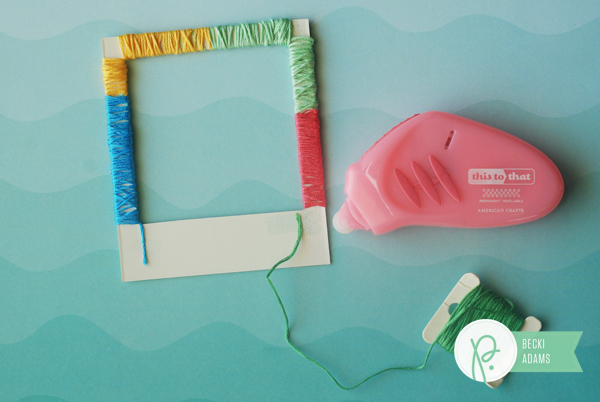 Becki here, to show you how to make a wrapped Polaroid frame. As Summer is winding down I’m starting to print the dozens (okay, maybe hundreds) of photos. I wrapped a couple of frames and added the frames to the photos on this layout. These frames are so easy to make. 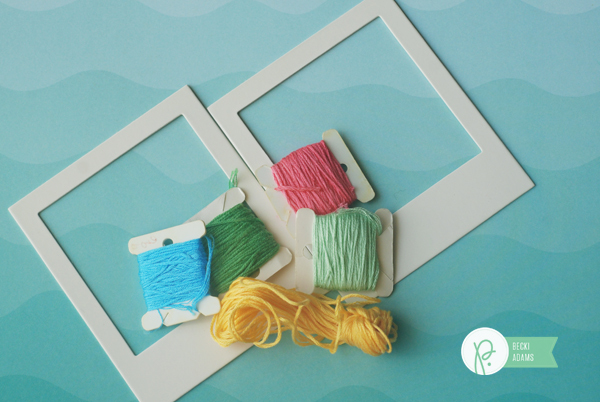 All you’ll need is some Polaroid frames from the Happy Day collection and some embroidery thread. 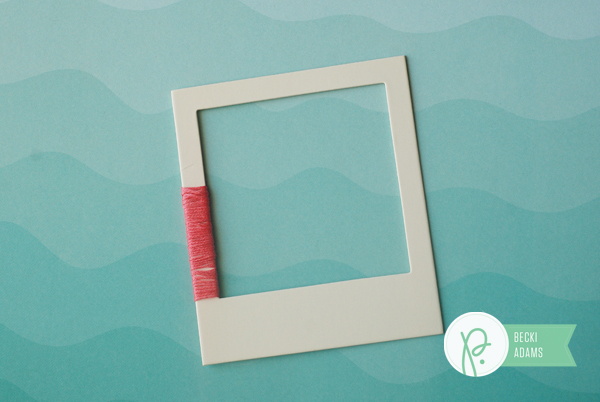 Start by picking one color and putting a little bit of adhesive on the back of the frame. Put the thread on the back of the frame where you put the bit of adhesive and start wrapping the thread around the frame. 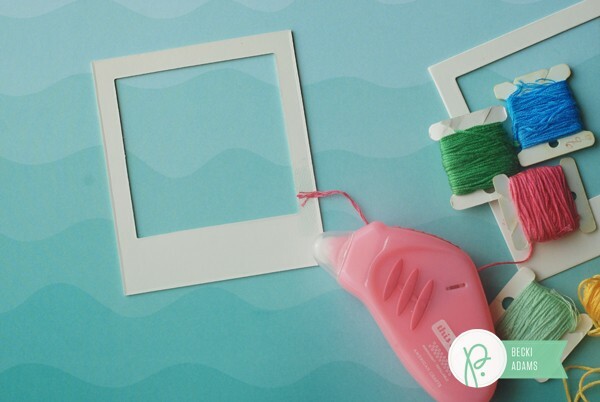 Once you have one color done, just add a little more adhesive and start with another color. 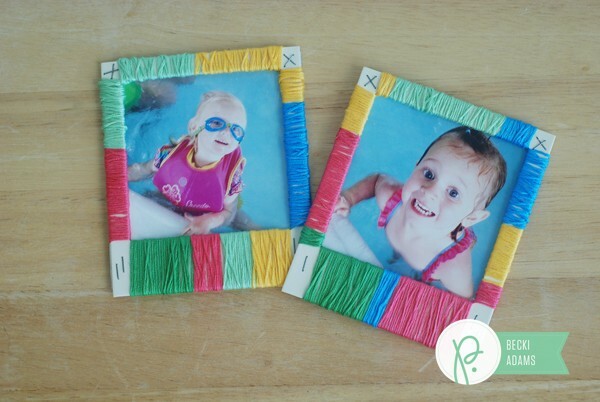 Because the frames are a little bulky, I adhered the photos to the frame with a couple of mini staples in the corners of the frames where there isn’t thread. And here’s a few detail shots of the finished product. Thanks for joining me on the Pebbles blog today! Come back and visit us soon! Hey y’all! 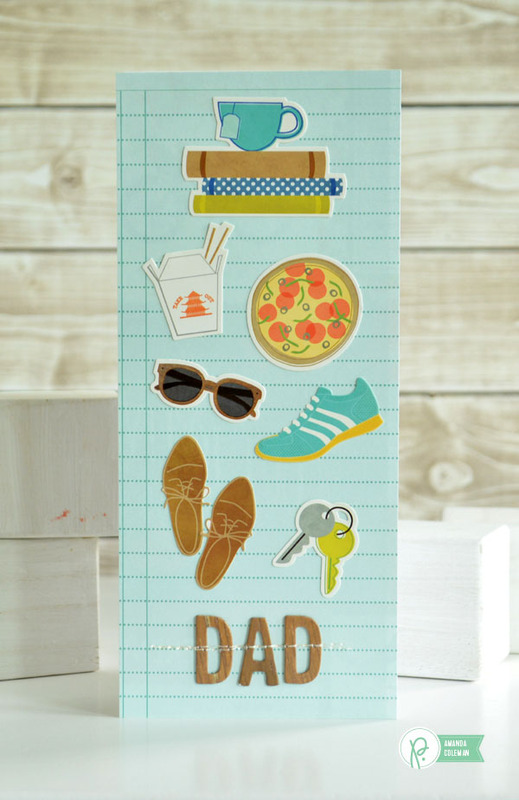 Amanda here today with some Father’s Day cards you can throw together in a jiffy. I love making Father’s Day cards because they can be remarkably non-fussy. Most often there is no lace, no glitter, and no flowers. Father’s Day lends itself to fun, simple cards. 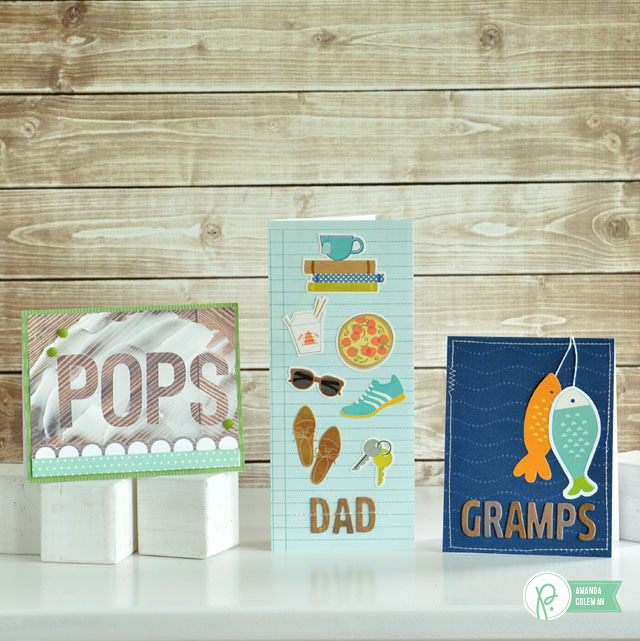 Use any one of your favorite Pebbles collections to make a great looking Father’s Day card. As I was looking through Pebbles’ recent collections for masculine prints and themes for Father’s Day, I noticed that every collection had components that were distinctly masculine. Even the collections with a more feminine feel had prints and elements that could easily be used for masculine projects such as Father’s Day cards. 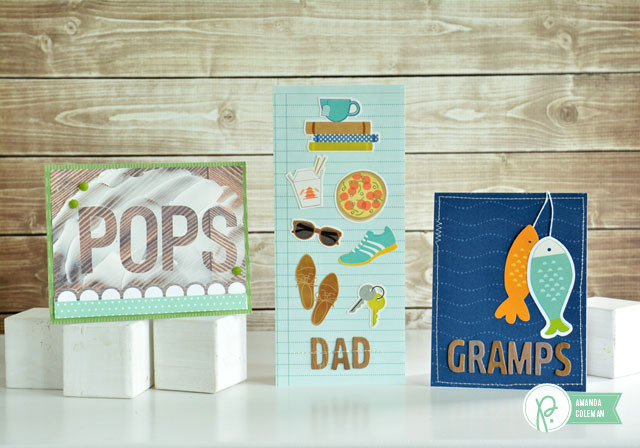 I used Cottage Living, Happy Day, and Fun in the Sun to create three different Father’s Day cards. Can you tell I was feeling a little artsy-fartsy when I put this card together? I really don’t like getting messy, but sometimes a design just calls for it. I have been itching to try the alphabet masks from the Cottage Living collection for a while now, and lemme tell ya, they are fantastic! 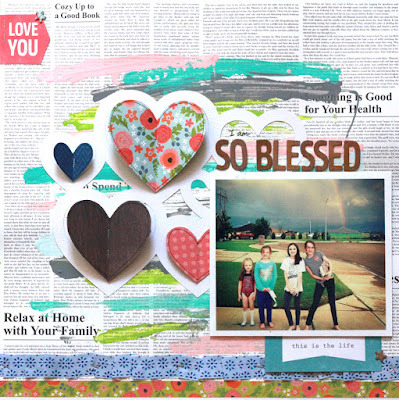 I paired them with some gooey spackle to create a one of a kind sentiment. 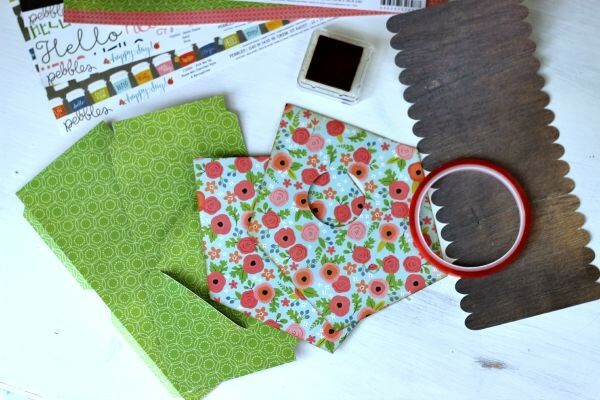 This delicious woodgrain paper is also from the Cottage Living collection. There is no magic to my spackling method. In fact, I just made it up. 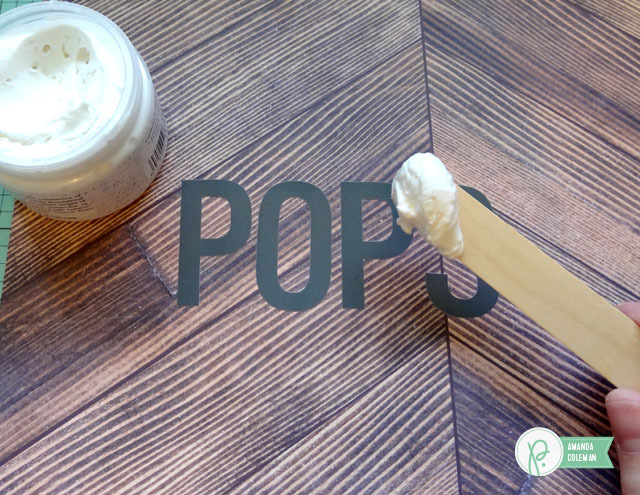 Simply place the alphabet masks on a piece of patterned paper and apply a bit of craft spackle with a popsicle stick. Spread it around on top of the alphabet masks until you get a texture and thickness that you are happy with. 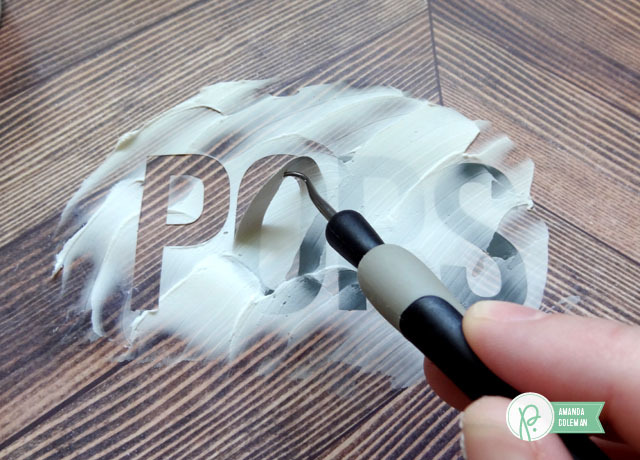 Remove the alphabet masks right after you apply the spackle when it is nice and wet. 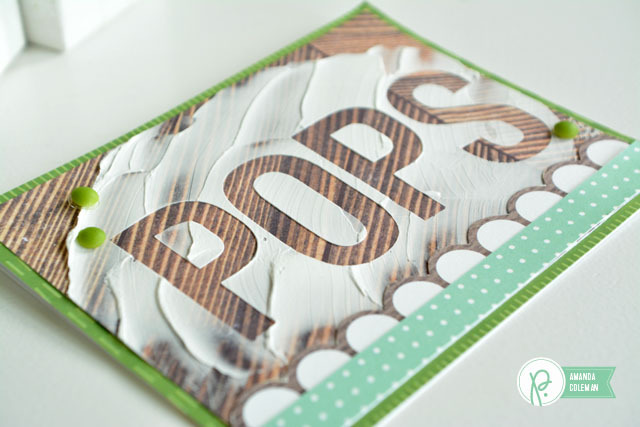 Use a vinyl weeding tool, or other sharp object, to grab the letters and gently peel them off of the card. Allow the spackle to dry and it is ready to cut and embellish. In my family, our grandpa was always known as Gramps. This affectionate nickname has now passed down to my dad. 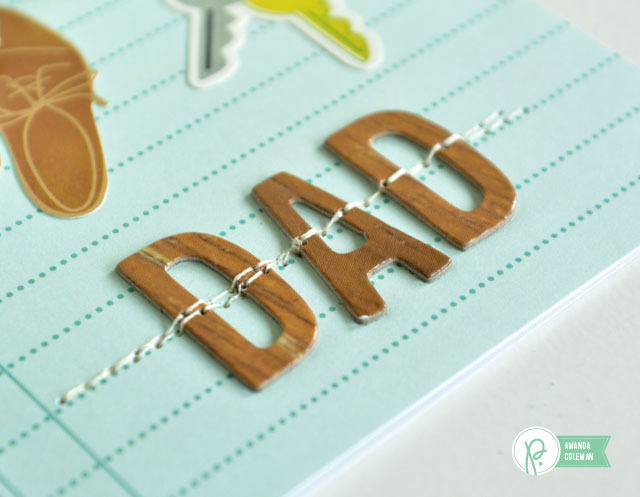 Father’s Day sentiments don’t have to be complicated or wordy. 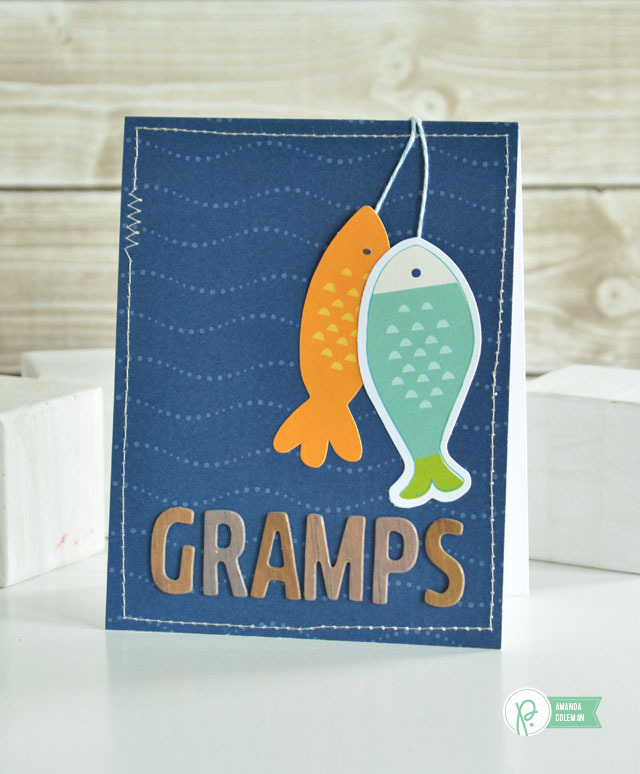 A name on a card with Gramp’s favorite hobby is just right for the old guy. I can’t line up Thickers in a straight line to save my life. I’m all for whimsy on occasion, but I am just uptight enough that most of my sentiments need to be perfectly straight. To get my sentiments just right, I use the grid on my cutting mat to line up the paper and a ruler. I place my Thickers on the ruler and everything comes out just fine. OCD panic attack diverted! 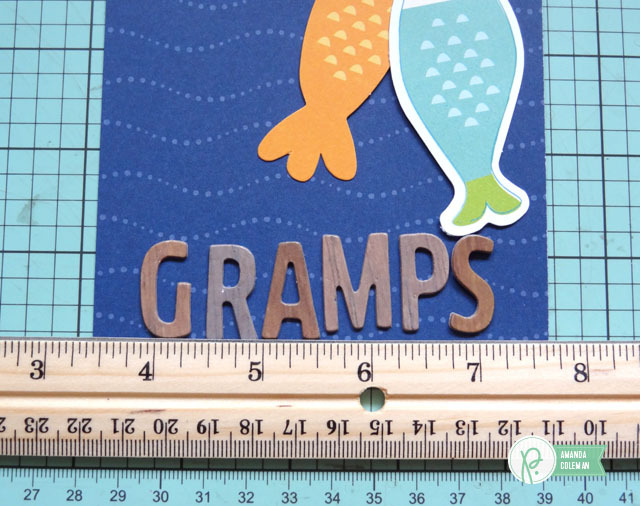 I really enjoyed making tall cards for summer, so I thought I’d also make a tall card for dear ol’ dad. 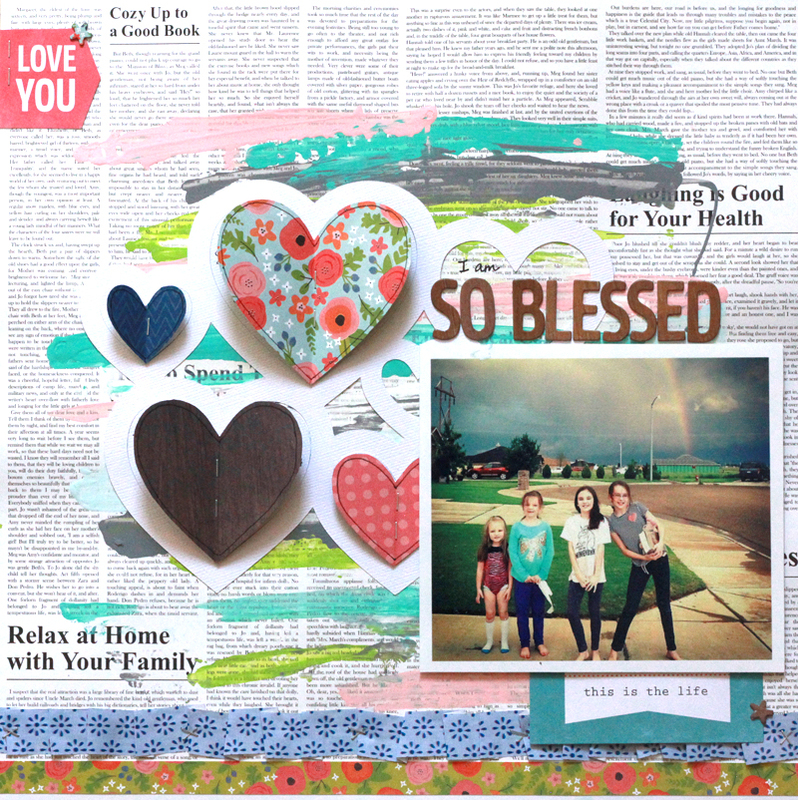 Using cardstock stickers from the Happy Day collection, I embellished the card with a variety of icons that represents dad’s favorite hobbies. 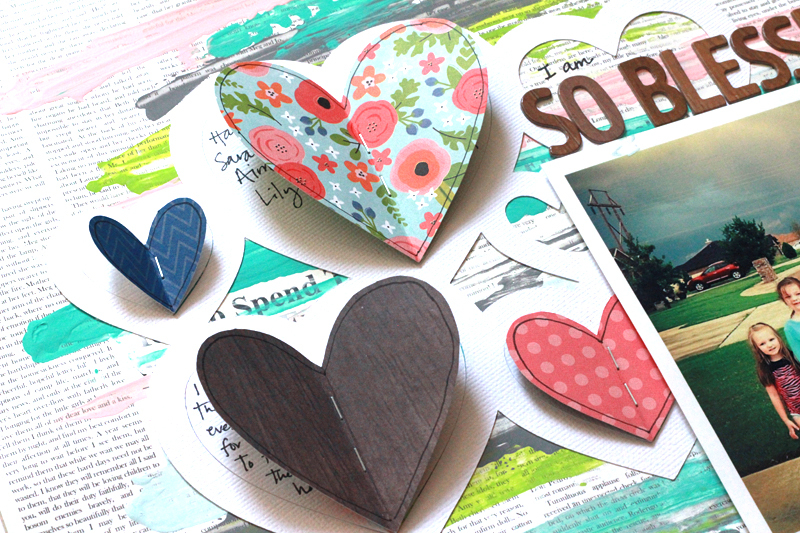 These uber masculine woodgrain Thickers make a perfectly simple sentiment. Keep those buggers from falling off of the card by securing them with a machine stitch or two. Have a very Happy Father’s Day!